John Bryerton of GATS recently sold the Gavilan 358 prototype and Type Certificate to Cub Crafters of Yakima, Washington. Its another step for the Gavilan’s long journey towards regular production. The Gavilan 358 is very suited to countries like the Philippines for its tough and easy construction, economy of operation, and simple maintenance. 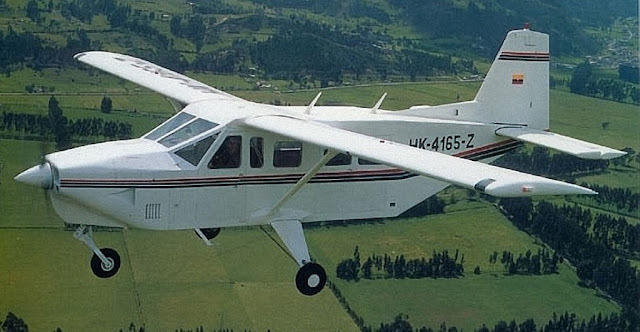 The Leaver family of Colombia was the main driving force in the development of the Gavilan starting in 1986, with the first flight on 27 April 1990. It was certified first in Colombia and deliveries started in 1998 to the Fuerza Aerea Colombiana. In order to be able to sell to the U.S. and other markets, the Leaver family and partners proceeded to get U.S. FAA certification. The Gavilán received its U.S. FAR23 Type Certificate in May 1998, using the prototype that GATS sold as the test aircraft. We hope that ultimately, the Leaver brothers Eric and Jimmy, will soon again be involved with their Gavilan creation, so with the former Piper engineers of GATS led by John Bryerton. AirPino of the Philippines is working towards the introduction of the Gavilan 358 to the Philippines.